This catalogue presents one of the largest collections of Swiss contemporary art in print for the first time. In the early 1970s, Peter and Elisabeth Bosshard, collectors and patrons of the arts, began to bring together works by Swiss artists. Over the years, with great passion, they built up a valuable collection, encompassing works by famous names such as Annelies Štrba, Adrian Schiess, Ueli Berger and Miriam Cahn, as well as gems by lesser-known artists such as Niklaus Rüegg or Maureen Kaegi. 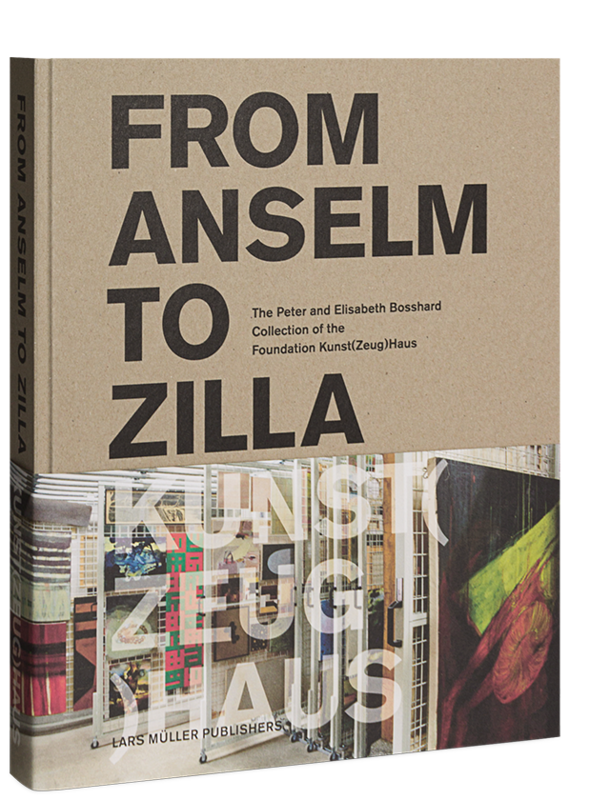 The year 2018 marks the museum’s tenth anniversary and will see the publication of the collection catalog From Anselm to Zilla, documenting the Peter and Elisabeth Bosshard Collection of the Stiftung Kunst(Zeug)Haus. 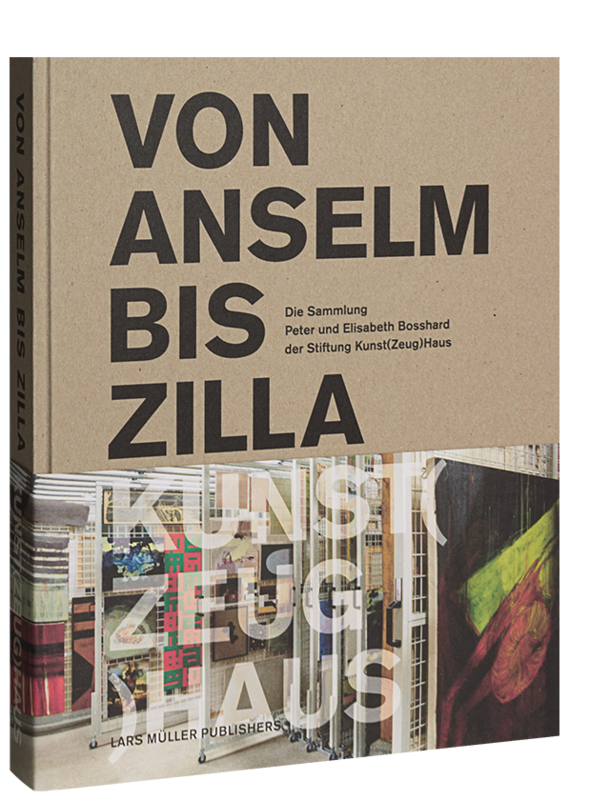 The catalog makes a significant part of the over 6,000 artworks by Swiss artists held at the Kunst(Zeug)Haus Rapperswil-Jona accessible in this format for the first time. Texts addressing selective, representative artists from the collection are framed by essays that underscore the collection’s characteristics, its importance for the Swiss art scene and the unique architecture of the Kunst(Zeug)Haus. In addition, an interview with Peter and Elisabeth Bosshard discusses questions about the couple’s collecting activities and gives an insight into their personal passion for collecting art.